The patter of rain against the blacked-out stained glass dome above where I sat numbed me like a hypnotist's gold watch. Neither the hard marble step beneath me nor the delicately carved staircase spindle pressed against my forehead was enough to override the lullaby effect of the raindrops. I tried to focus on the ornate staircase of the old mansion, to study the fine architectural details of the structure that even the conversion into a hospital couldn't mask. 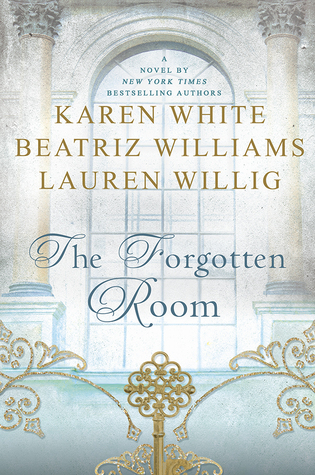 The Forgotten Room is written by THREE fantastic authors - Karen White, Beatriz Williams and Lauren Willig. This book is so seamlessly written that there is no way to tell which author wrote which character or what part of the book. It reads as if it were written by one author. There are THREE main female characters in the novel and it takes place during THREE time periods. In 1944, Dr. Kate Schuyler is working at what used to be the Pratt family mansion and trying to overcome the prejudice against her from the male doctors. In 1920, Lucy Young is working for a law firm and living in a boarding house in the old Pratt mansion. In 1892, Olive Van Allen goes to work as a maid in the Pratt mansion to try to find out why the Pratt's ruined her father's reputation as an architect. The house is an important part of the novel. It was built for the Pratt family in 1892 and Olive's father was the architect. The Pratt family, parents, two sons and one daughter lived there and were very rich and snobby. They didn't pay Olive's father for his work and he committed suicide so Olive went to work for them as a maid despite the fact that she was well educated to try to find out why they cheated her father. By the 1920s, this once beautiful mansion wis a boarding house. Lucy lived here when she went to work for a lawyer in a time when most women didn't work. She wants to get details about what happened to her family and knows that she can find out by looking at documents at this firm. By 1944, the house has become a hospital for injured men returned from battle in WWII. Kate is a doctor in what is still a man's world. She has no idea that she has any connection to the house. Normally in a book with more than one story line, I find that I like one of the characters better than the others so I read quickly through the ones that I don't like to get back to the story line of the character that I like. I have to say, in The Forgeotten Room, I liked all three characters and their stories. 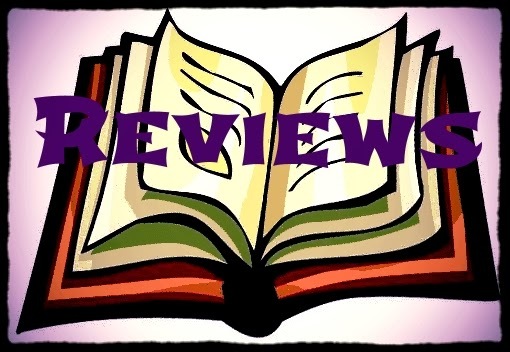 The book had mystery, suspense, romance and fantastic character development. I was sad to see the story come to an end. Fantastic book by three great authors. I would continue reading... And what a beautiful cover! Yes, I'm hearing good things about this book. And 3 such noted authors. Ones I've meant to read. I've actually read a couple of Lauren Willig's Pink Carnation books, but just have not started books by the other 2. Even though I have a bunch of them. So many books!! I have been eyeing this book...I haven't read all the authors, but I love Karen White's books, so I'm in. Thanks for sharing and tempting me. And thanks for visiting my blog. I am really looking forward to reading this one. I haven't read anything by Beatriz Williams, but I've read work by the other two authors. I want to read this one. All three are great authors. I like the opening paragraph and also like the idea of three authors getting together to write one book. Great authors too. Sounds wonderful to me! I love books with multiple time periods.